The categories are coming fast and furious now. It is time to vote for your choice in the third 2015 Streetsie award: Journalist/Writer of the Year. Voting starts inmediatamente and will close on Tuesday, January 5, 2016 at noon. Reader voting accounts for one-half of the scoring this year, with one-quarter going to SBLA staff voting, and another one-quarter going to a SBLA board vote. Vote for in all six Streetsie polls (some coming later today and tomorrow) at this link. Kerry Cavanaugh – Kerry Cavanaugh writes for the opinion section of the Los Angeles Times. 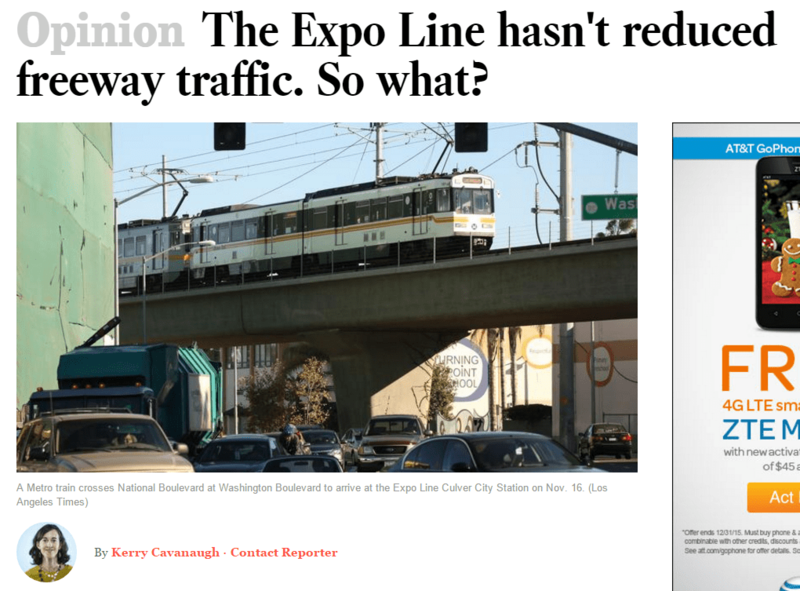 Cavanaugh has weighed in thoughtfully on subjects ranging from why the Expo Line’s success should not be measured solely in terms of benefits to drivers, to Metro’s effects on gentrification, to sidewalk repair, to keeping the Orange Line intact while building out more San Fernando Valley transit options. Between Cavanaugh, Laura Nelson (below), Steve Lopez, and Christopher Hawthorne, it is no surprise that the Los Angeles Times very much remains L.A.’s go-to news outlet for urban transportation. Southern California needs its paper of record to maintain its great transportation coverage in transitioning times. 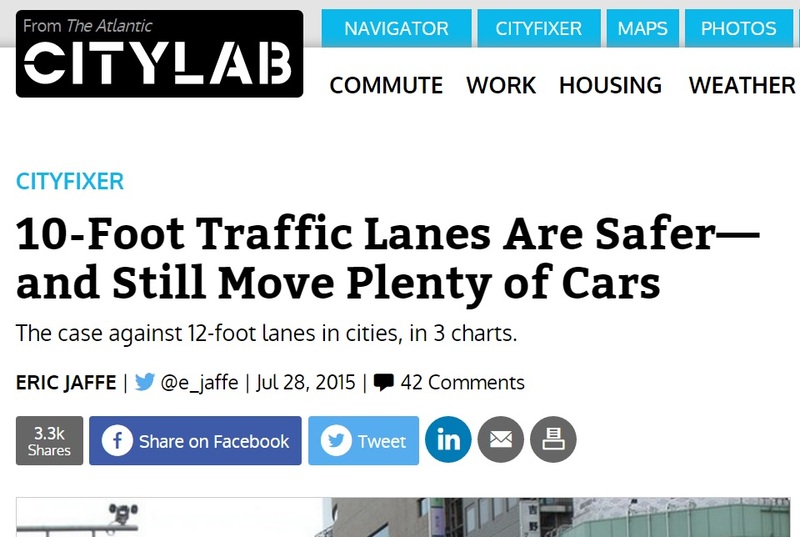 Eric Jaffe – Eric Jaffe is based in New York where he covers transportation issues for CityLab. He is prolific and forthrightly on the side of walkable, bikeable, livable cities. Jaffe covers numerous issues from parking impacting affordability to lane width impacting safety. Though much of his writing is applicable to urban livability around the world, he has provided great coverage of many critical issues specific to Los Angeles – from L.A.’s parking excess to Metro’s frequent bus network – plus plenty of California issues, too, including Caltrans’ belated recognition that induced demand actually exists. 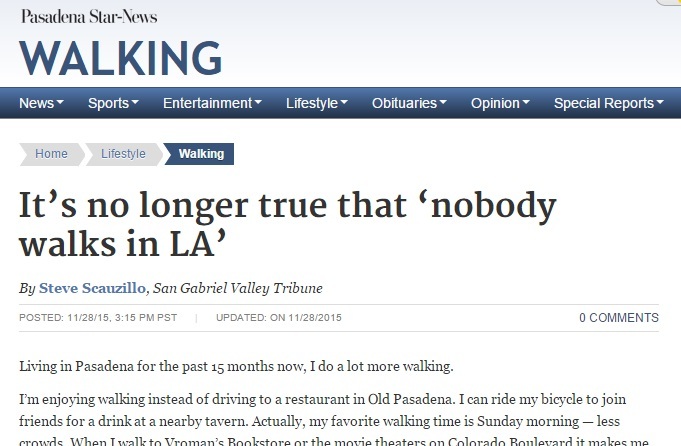 Laura Nelson – The Los Angeles Times‘ Laura Nelson is now a three-time Streetsie nominee – will this be her victory year? Nelson has brought much-needed stability and professionalism to the Los Angeles Times transportation beat. She digs deep into matters from Metro to ride-hailing, and presents them in a clear, thorough, and timely way. Her Twitter feed is also highly recommended. Steve Scauzillo walks in L.A.
Steve Scauzillo – Scauzillo works the San Gabriel Valley’s environmental and transportation beats at Los Angeles News Group, where his byline appears often at the Pasadena Star News and San Gabriel Valley Tribune. He brings an urban sensibility to what can be a somewhat suburban readership. 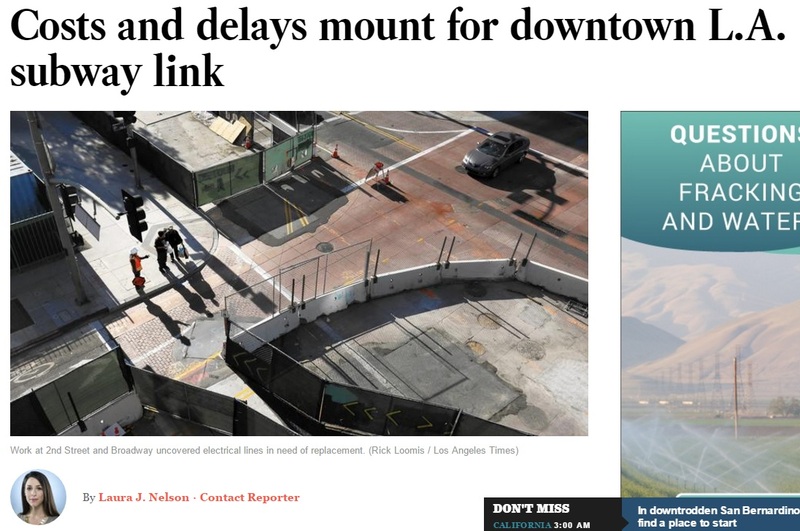 His coverage of 710 Freeway, Gold Line, and San Gabriel River issues has been excellent. UCLA Institute for Transportation Studies / UCLA Lewis Center for Regional Policy Studies / UCLA Luskin School of Public Affairs – Well, UCLA’s transportation think-tanks are not quite journalists, but they do publish Access Magazine, plus lots of informative urbanist articles, or should we properly say, research studies. In any case, UCLA’s transportation thinkers have had a hand in plenty of this year’s valuable livability explainers, from the eye-opening L.A. parking study to the excellent APTA review of Metro. They also get the word out via conferences including Transportation Camp, recurring Complete Streets conferences, and more. Honorable Mentions: CiclaValley by Zachary Rynew is becoming a consistent and valuable bike news outlet. Steve Hymon is still The Source for clear timely ongoing Metro news. 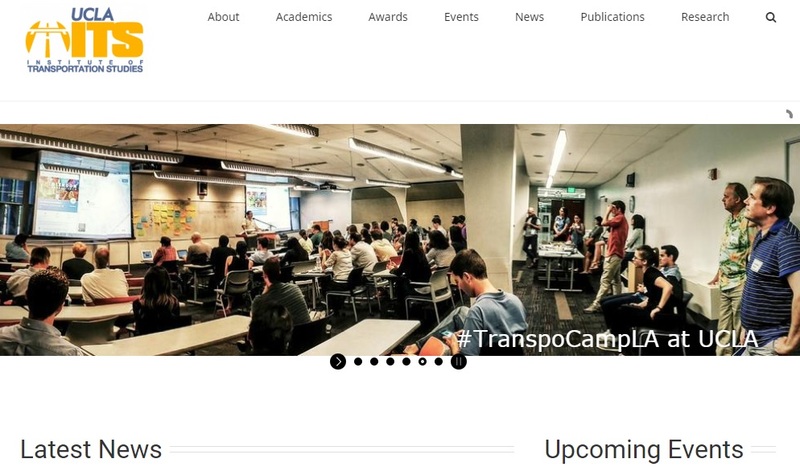 They don’t consider themselves journalists, but throughout 2015 the advocacy nonprofits Investing in Place and Move L.A. have maintained very informative websites. Vote For All Six 2016 Streetsies Right Here! Vote for all six 2016 L.A. Streetsie Polls here! Will it be Lisa Schweitzer, Steve Scauzillo, or Peter Flax? 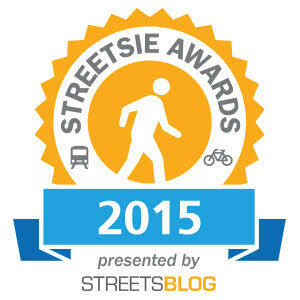 Vote for 2016 Business Streetsie: rail builders, Bicycle Transit Systems, or Sarah Auerswald.